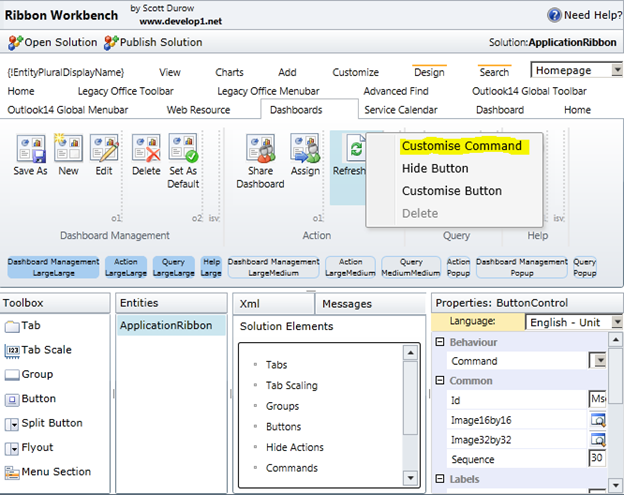 This post shows you how to set up a CRM2011 Dashboard 'auto-refresh' feature using the Ribbon Workbench in 10 easy steps (well…11 if you count clicking publish at the end!). 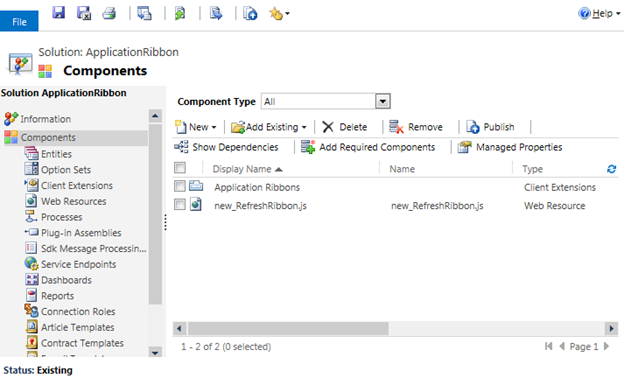 1) Create a new solution and add the Application Ribbon to it (Client Extensions->Add Existing->Application Ribbon). 3) Open the Ribbon workbench, and load up your new solution. 9) Click OK, and OK again. 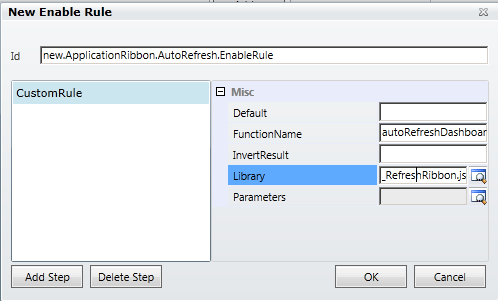 10) In the 'Solution Elements' panel, expand the 'Enable Rules' and select 'Mscrm.IsDashboardSelected'. In the properties panel, set 'IsCore' = True. This ensures that this rule is not customised in our solution since we only need to customise the Command to add the new enable rule. And you're done! This will work both in the Web Browser and the Outlook client. It is important that you remember that auto-refreshing dashboards could place more load on your server if lots of users leave the dashboards open all day!